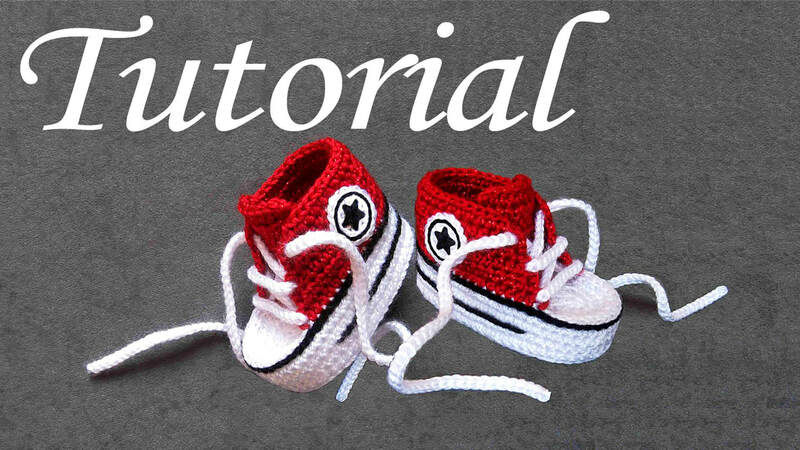 ​If you want to create your own baby shoes and make them look exactly the way they look here on this page you should use yarn and hook similar to the ones that are used in this tutorial. The Yarn that is used here is 100% Akril, 250m/100g (in US closest DK3), recommended hook is 2-4mm (0.08-0.16 inch), but I used 2,5 mm (0.10 inch –in US letter B1 or C2). Using the smaller hook makes shoes more solid. You can also use cotton yarn or mix of wool and Akril in different proportions with the same specifications as for Akril. If you decide to use cotton you will end up with beautiful shoes as well, dimensions might be a bit smaller, but that is easily fixable. The way dimensions change and how to handle other things regarding this case can be found on the Comments page. Why this tutorial is unique and how easy it is to use you can see on the Preview page. It’s adjusted for beginners and people with hearing disorder as well. It might sound unbelievable that the beginner can work on a project like this, but you can find a complete simple beginner guide on a Help page covering all the necessary knowledge beginners need to know about crocheting. 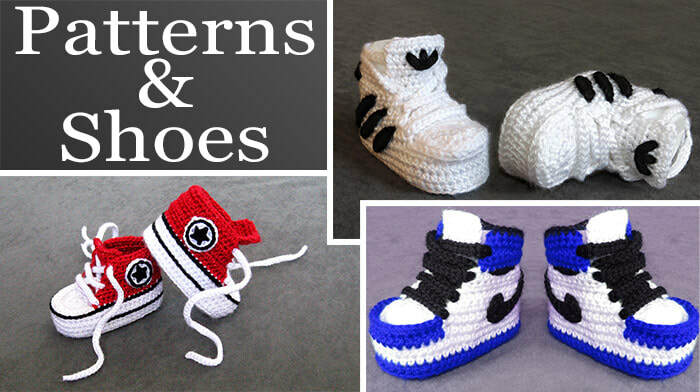 For all those people who don’t crochet but like crochet items and would love to have baby shoes like this, they can buy them through my Etsy shop by clicking here. These shoes are perfect for gift, they can be worn by babies who still don’t walk and they can also be used as a decoration. Your tutorial is amazing. I am very excited to start this project. I am a beginner for sure... I went to Michaels to find yarn but I was a bit overwhelmed. lol. I found 100% acrylic but I couldn't find 2-4mm everything I saw requires a larger crochet hook (5mm). Can you tell me what brand of yarn you use? Am I able to purchase this yarn online anywhere? Love the video. I am a true beginner but you made it look so easy that I was excited to give it a try. I have made two pair so far and plan to make more. While my little shoes don't look quite as good as yours, I have learned a lot about crocheting and terms and tension, etc. These are great for a "first project" and your videos are very well done. Thank you! Best pattern to crochet babychucks- and I tested enough others to sag that. Even good for beginners ! I only have to say that the tutorial is perfect for me, especially as it highlights the small details that meke a difference in the end. I love your video. I think it is one of the best for instruction I have seen. Thank you Nina for sharing this tutorial. I just made my first converse shoes for my little one that is yet to come in February...I need to experiment with adaptations to make smaller.Thank you again...your work is great. Beautifully made, I completely love them! Thank you. I purchased the full tutorial as well as this pair of booties. Excellent tutorial. The pair I made is identical to those purchased. These are for our great-grandson. We have received only the most glowing remarks and several requests to make some more. . . I searched for tutorial for the sole for past 3 days. Finally found your video! I really enjoyed the following the instructions. It came out beautiful. Thank you so very much for the perfect video!!! Where can I get the pattern for your hi top booties? Are they the best I've seen and would love to make them? Thank you for your wonderful tutorial! These booties are just too darling! You are very easy tofollow! The best tutorial I have seen. I tried many tutorials and I got confused but yours is the best and very understanding without a voiceover.